Dynamic susceptibility contrast MRI was applied to assess the bloodstream circulation time. 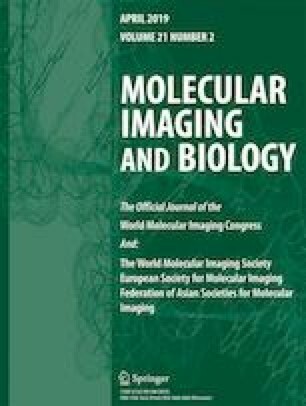 A novel semi-quantitative method called %I0.25, based on the intensity distribution in T2*-weighted MRI images was developed to compare the accumulation of T2 contrast agent in tumors with or without MT. To evaluate the efficiency of magnetic targeting, the percentage of pixels under the intensity value I0.25 (I0.25 = 0.25(Imax − Imin)) was calculated on the intensity distribution histogram. The online version of this article ( https://doi.org/10.1007/s11307-018-1238-3) contains supplementary material, which is available to authorized users. This work was supported by the LabEx MiChem part of French state funds managed by the ANR within Le Programme Investissements d’Avenir under reference ANR-11-IDEX-0004-02. In vivo imaging was performed at the Life Imaging Facility of Paris Descartes University (LIOPA from the Plateform Imageries du Vivant – PIV) and partly supported by CNRS and ENSCP, ANR LightLab program. We are grateful to Institut Français Weizmann for a postdoctoral grant (GR), Emmanuel Aubry from ALIPP6 for ICP analysis, Claire Wilhelm for magnetophoresis experiments, Cellular Imaging facility Imagic of Institut Cochin for confocal microscopy, and to Jean-Michel Guigner for CryoTEM.